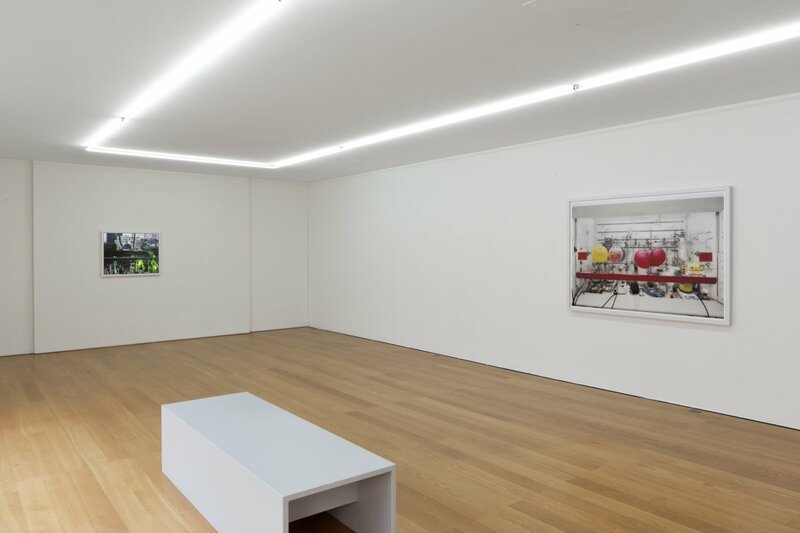 Galerie Rüdiger Schöttle is pleased to present the new cycle of German artist Thomas Struth, who has been affiliated with us since the 1980s. On his trip to South Korea in 2007, Thomas Struth photographed tankers under repair in one of the world's largest shipyards and a semi-submersible drilling rig. Since this trip, industrial innovation and scientific achievements have been the center of the artist's attention. The works on view on the gallery’s ground and first floors give visitors insight into the inner workings of these facilities, their machines and contraptions, and the frequently inaccessible spaces of scientific research, as the artist places his focus on medical institutions and test laboratories with their instruments and equipment. 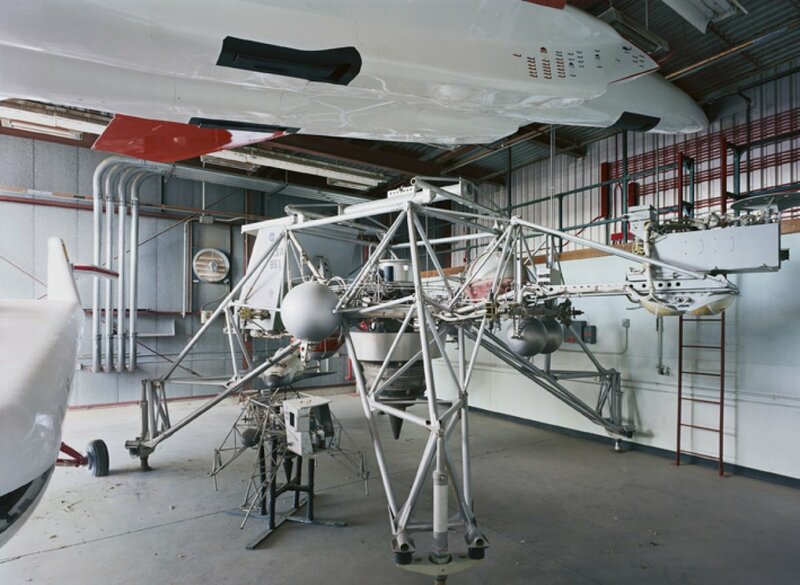 The work "Research Vehicle, Armstrong Flight Research Center, Edwards, 2014" shows a simulator that the Apollo astronauts used from 1964 onwards to practice the moon landing. emerge and transform into abstract compositions of color and form. Similar to his early streetscapes and photographs of forests and jungles, the new cycle also confronts the otherwise disconnected human being with the image. Thomas Struth, born 1954 in Geldern, Germany, counts among the most important artists of his generation. His architectural photographs, in both black-and-white and color, of cities in Europe, the United States, and Asia as well as his well-known family portraits, in which he challenges the possibility of photography as the origin of psychological research, are cornerstones in the artist's oeuvre. Struth went on to produce strongly analytical museum photographs that probe the relationship between visitor, museum, and artwork, and the "Paradise", his forest and jungle photographs. 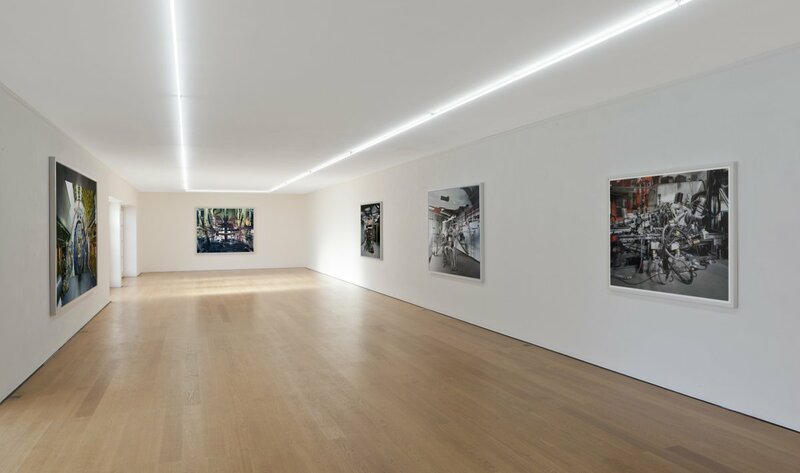 The works of Thomas Struth have been featured in numerous international solo exhibitions. In 2016, both the Martin-Gropius-Bau in Berlin and the Folkwang Museum in Essen will arrange solo exhibitions with the new group of works, which will subsequently travel to several museums in the United States.